In the showroom of BMW Abu Dhabi Motors, the new 2019 BMW X5 shines as a 50i model with a V8 TwinTurbo, wearing the M Sport Package and the familiar X3-color – Phytonic Blue. 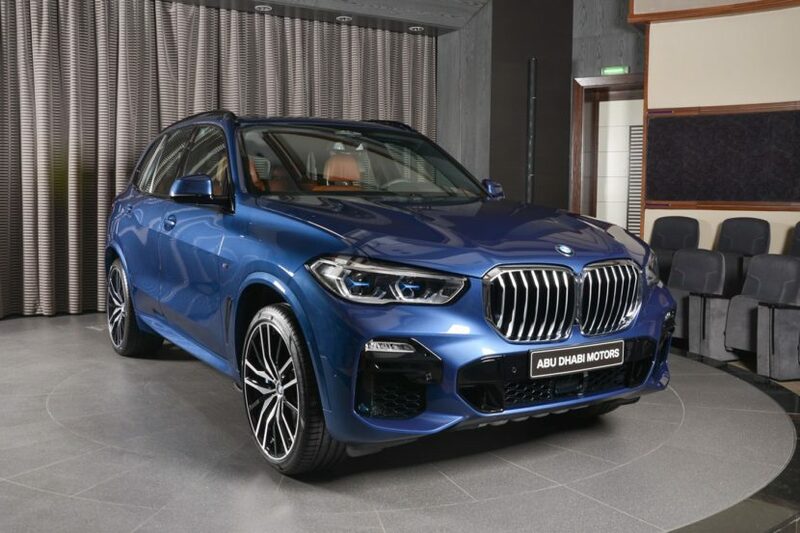 The combination makes the new luxury SUV from Munich seem particularly dynamic and should also increase the exclusivity since most X5 customers will order their vehicle in more muted colors. Not only the color is exciting, but also the top G05 X5 model. The V8 TwinTurbo with 462 hp and 650 Nm of torque was not homologated for the European WLTP cycle and is only sold where no gasoline particulate filter must be installed. 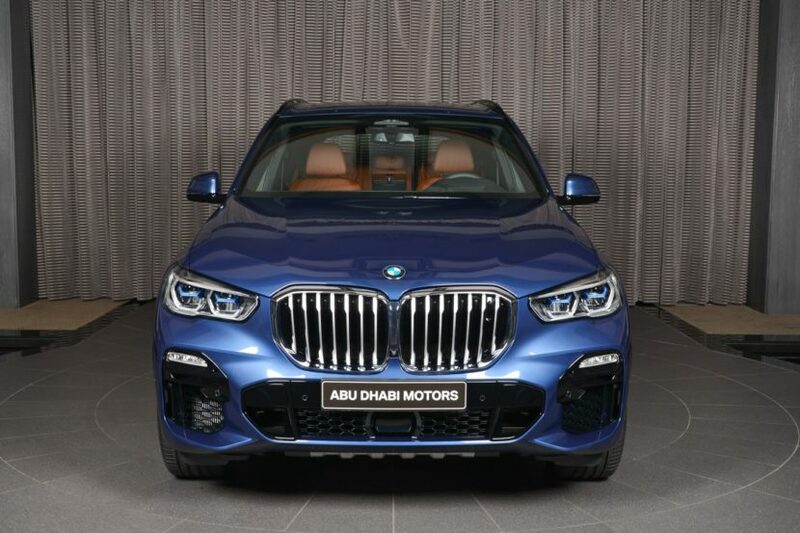 But there is hop in sight: In 2019, the new BMW X5 M50i with 530 hp with take over from the X5 xDrive50i and bridge the gap between the standard X5 and the upcoming X5 M.
This particular model from BMW Abu Dhabi carries the optional laser lights with their blue accent braces, which clearly points out to the high-tech lighting technology. The large air intakes of the M front apron, the 22-inch 742 M Bicolor light-alloy wheels and the rear spoiler with a subtle diffuser complete the sporty exterior. Inside, the BMW X5 xDrive50i features the leather upholstery Vernasca in the cognac color, matching the fine wood trim interior trim. 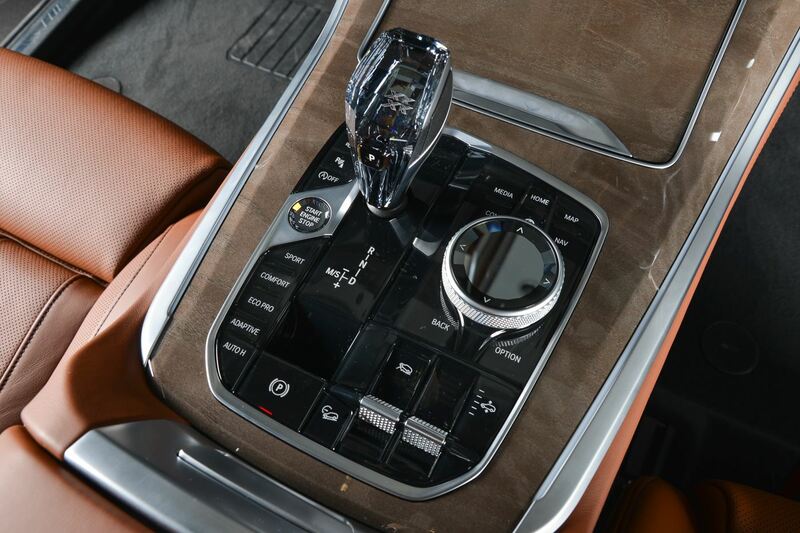 The glass application is easily recognizable by the “X” letter in the gearbox selector lever, as well as by the different glass cues in the center console. Of course, we also see the standard Live Cockpit Professional with two 12.3-inch displays. 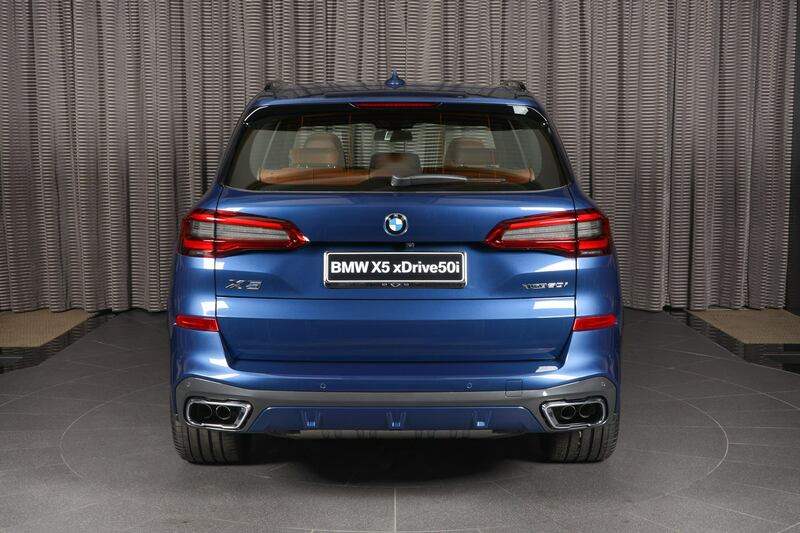 The 2019 BMW X5 xDrive50i accelerates from 0 to 100 km./h in 4.7 seconds from 0 to 100 and effortlessly reaches the electronically limited top speed of 250 km/h. For the full details on the new BMW X5, you can read our comprehensive review.